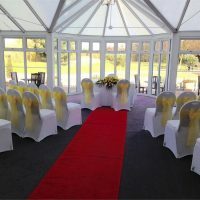 Surrounded by the beautifully maintained golf and glorious Essex countryside, the Essex Golf and Country Club offers a picturesque setting for weddings and civil ceremonies. For couples that want to fully relax before or after the excitement of the day, stay in one of the 42 comfortably appointed en-suite rooms in the nearby Lodge. The hotel boasts several facilities to help you unwind including a fully equipped modern gymnasium, sauna, steam rooms, solarium and jacuzzi. The Aura spa can help revitalize and re-energise couples with a soothing range of treatments and therapies. 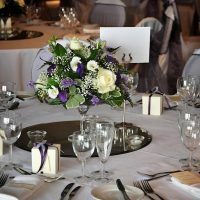 Understanding that every couple is unique, the dedicated events team offer bespoke packages to suit each couple’s needs and tastes. 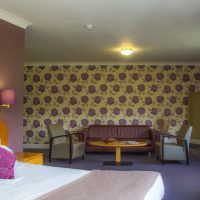 For busier couples the Essex also offers a selection of all-inclusive packages to keep things simple and stress-free. 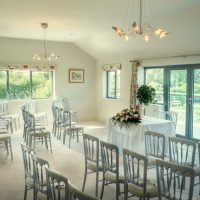 All the packages offer a red-carpet arrival, wedding breakfast room hire, 3 course set meal and tables dressed with neutral linen. The other packages offer more with additional drinks and a complimentary stay in the Honeymoon Suite for platinum package couples. Choose from five varying sized rooms to hold your celebrations. Whether you envisage a small intimate gathering or grand festivities, there is something to suit all tastes and budgets. The neutrally decorated Flight Suite provides a blank canvas for your imagination to run wild. 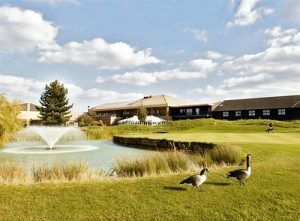 Access the terrace to take advantage of idyllic views over the 18-hole course and create memorable photo opportunities. The private bar and dance floor add to the exclusive ambience of this generous setting. Bathed in natural light the conservatory adjoins the Mustang Suite to create a unique and airy setting to declare your commitments. Access to the patio provides extra space on long summer evenings for guests to enjoy drinks and breath taking sunsets. Ideally suited to smaller intimate celebrations, the board room’s neutral décor will compliment all colours and decoration styles.